How to use In-Page Analytics to boost conversions | Pebble Infotech Pvt. Ltd.
Finding the right starting point is a mammoth task for marketers who want to take their business to the next level. Amongst all, most marketers beat around the bush without knowing what works best for their business. For most small and large scale enterprise, In-Page Analytics might be the right starting point. It is an impactful feature which can provide marketers invaluable information about various in-page elements. By looking at these analytic reports marketers can reframe their site and optimize different elements to maximize conversion. In-Page Analytics provides detail assessment of your website and helps you to identify the parts that need improvement. In order to use this feature, you’ll have to access your Google Analytics Accounts. Here is the step by step procedure to create In-Page Analytics report. • Sign into your Google Analytics account. • Click on the view tab. • Navigate to Reporting tab. • Look for Behavior>In-Page analytics. In-Page Analytics provides different customization options. With these options, you can create a custom report for every page of your site. Like any other analytics, In-Page analytics also allows you to change your date range. Just click on the date panel located on the top right-hand side of your analytics dashboard and create your own custom date range. This allows you to understand what was happening on your site within that particular time frame. You can analyze the recent incidents happening on your site and figure out the elements which require improvements. Apart from that, you can also compare how your customers are engaging your site in different time frame using the ‘Compare To’ button. Comparing reports of two different months is one of the best ways to predict future growth. Every site is unique, and to ensure long-term success you must analyze your site before worrying about competitors. In-Page Analytics includes various options for data segmentation. Every option is unique and each option allows marketers to segregate the accumulated data with ease. With In-Page Analytics, marketers can separate the data using various categories including ‘direct traffic’, ‘new users’, ‘referral traffic’ or ‘made a purchase’. All these segmentation options can be used to determine the prominent factors which directly affect conversion rates. To create a unique segment, navigate to All Users tab. When you click on the tab, you will be directed to a new screen where you can create a custom segment. If you are new to segmentation, your email list is the best place to start with. With data customization, you can generate lots of tricks to make most out of your data and elevate your conversion rate. Data segmentation is an important and easiest way to figure out how your customers are interacting with your site. By now, you must be able to read and analyze data. The next step is to customize the data in accordance with your needs. Here are some effective tips on customization that will help you to make the most out of your data and boost your conversion rate. • Make a list of referral sites from where your traffic might be coming. Include social media and your blog sites as well. • Don’t step back from adopting changes. For instance, if a CTA button is not bringing traffic into your site then you might have to reposition or reconfigure this element. Find the best pages from where you are getting the most traffic from and include the button in such places. • Try to reduce bounce rate to the minimum and figure out the factors that are making your customers leave your site. • Make up a habit of checking your In-Page Analytics and try to be conscious of what needs to be adjusted. It is a mystery why In-Page Analytics are overlooked by marketers when they provide such invaluable information. 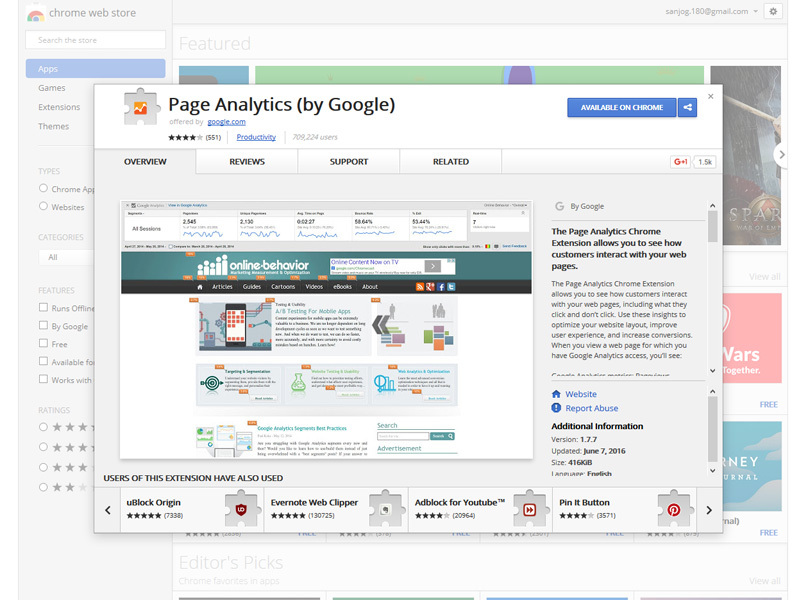 In-Page Analytics provides you an opportunity to see how your customers interact with your site. And, it one of the crucial information you should not be missing out. So, integrate In-Page Analytics into your system and give a kick start to your business.